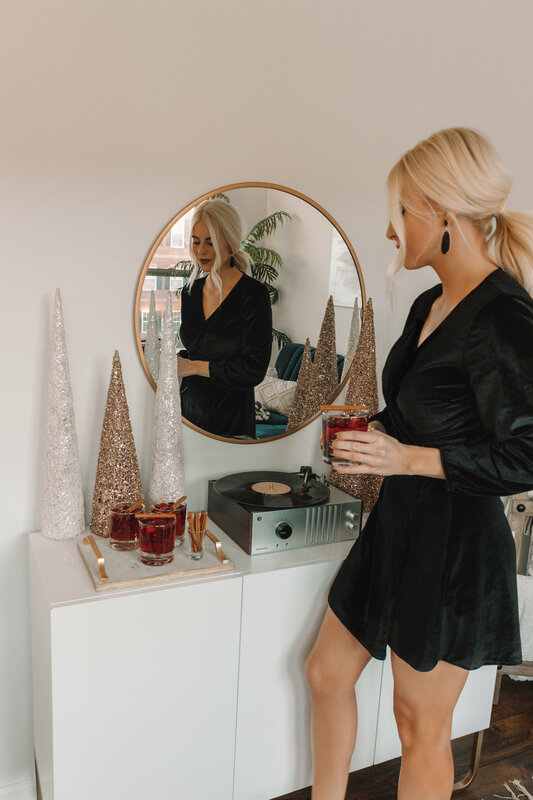 ‘Tis the season for festive cocktails! 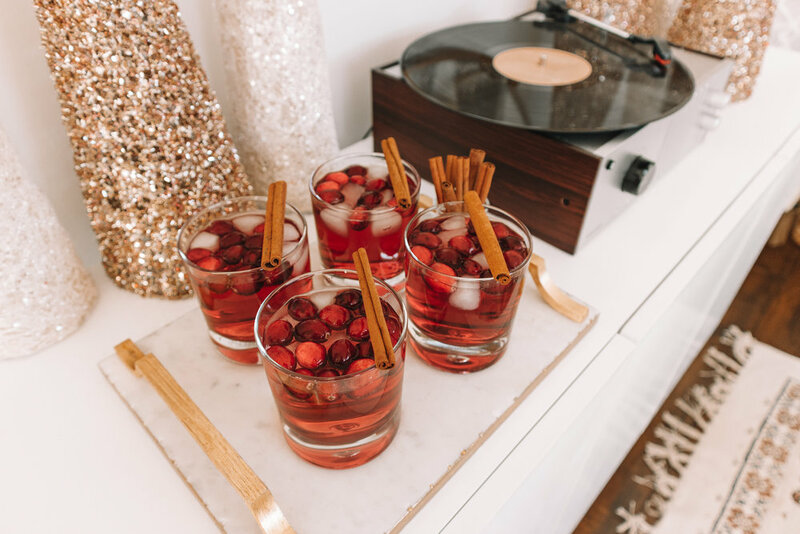 We’re having a little get together next week with some friends that are in town for Christmas and I’ve been going down the Pinterest rabbit hole of allll the holiday cocktails. I recently tried out this Cranberry Cinnamon Whiskey Cocktail and it was too good not to share! You can see some pics of my take on it below. It’s basically an Old Fashioned (my fave) with a festive twist. 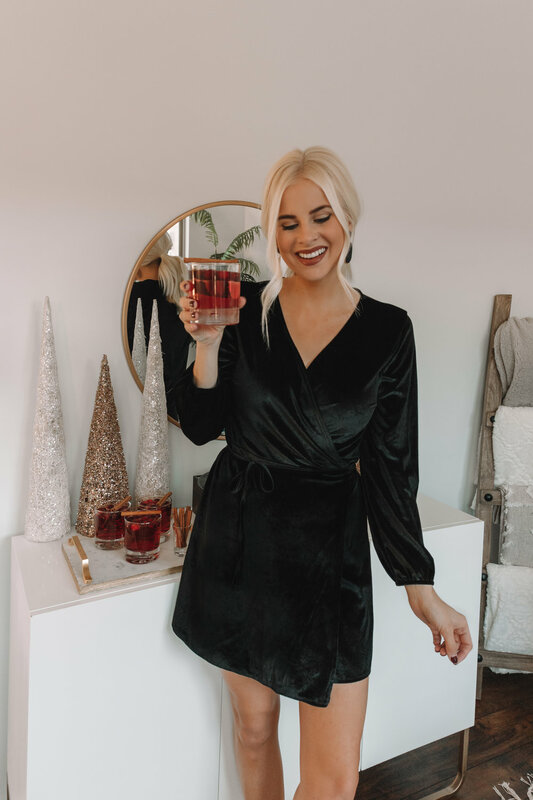 I’ve rounded up a few of my favorite Christmas Cocktails that are perfect for all holiday festivities- or just a chill night cap at home. Cheers! This cocktail mostly made the cut because I’m a Riverdale feen, but also because it’s super simple and makes for a really delicious and pretttty cocktail! A festive spin on the traditional marg- you just can’t go wrong here. What’s even better is the ingredients are basic and are sure to be reused for some classic margs in the future! I think this might be the one that I’m most excited about. Prosecco is my bubbly of choice and this recipe uses thyme and plums to dress it up for a fancy NYE beverage! You can’t talk about holiday cocktails without talking about eggnog! If you’re feeling up for the task, this homemade eggnog is quite the crowd pleaser!